New York (AFP) - Mexican drug lord Joaquin "El Chapo" Guzman is set to mount a tough battle against his extradition to the United States, where he faces federal charges in California, Chicago, Miami, New York and Texas. In multiple indictments stretching back 20 years, Guzman is accused of murder, drug trafficking, kidnapping and money laundering linked to his multibillion-dollar drug empire. Mexican officials say they are processing two extradition requests from California and Texas in the wake of the kingpin's capture on Friday. The New York Times quoted officials as saying one possibility was that he be tried in Brooklyn, where Attorney General Loretta Lynch was the US attorney when charges were brought against him. Guzman is indicted in Brooklyn and Manhattan. The Brooklyn indictment, which was unsealed in 2014, accuses him of criminal enterprise, conspiracy to manufacture and internationally distribute cocaine, heroin, methamphetamine and marijuana. It lists 13 murders and attempted murders of Mexican police and soldiers, and members of rival gangs. He is also accused of laundering drug profits. The indictment lists 163 cocaine deliveries between 2003 and 2014, totaling 457,212 kilograms, and accuses Guzman and co-defendant Ismael Zambada Garcia of ordering hundreds of acts of violence, including murder, kidnappings, assassination and acts of torture. It calls his Sinaloa cartel the largest drug trafficking organization in the world and says the majority of drugs were exported to the United States, generating billions of dollars in profits. 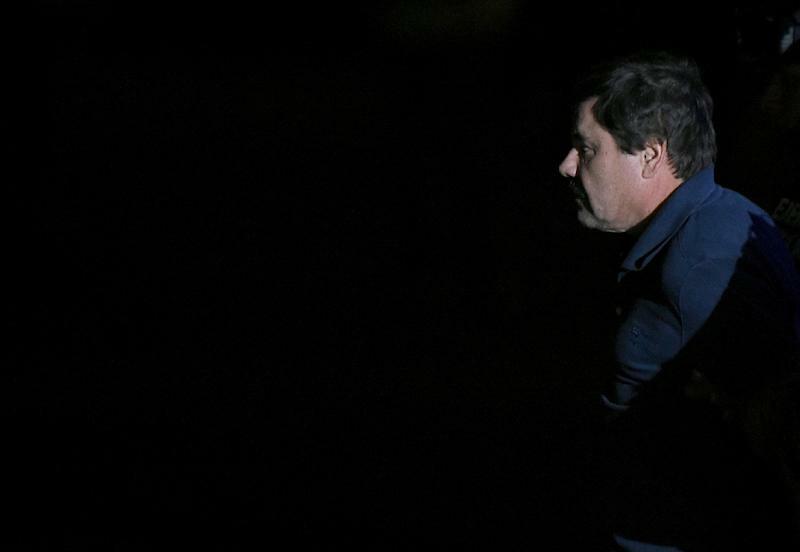 Manhattan filed charges against Guzman in 2012, accusing him of conspiring to smuggle cocaine into the United States. Federal prosecutors in the Windy City indicted Guzman and eight other defendants in 2009 with importing and distributing narcotics, and money laundering. The indictment alleges that they conspired to smuggle large quantities of cocaine from Central and South America, as well as heroin, methamphetamine and marijuana from Mexico to the United States, through Chicago. The indictment seeks the forfeiture of $2 billion. The case was built on corroborating testimony from twin brothers Pedro and Margarito Flores, cartel distributors in Chicago who were sentenced to 14 years in prison in January 2015. Officials said they seized 11 tons of cocaine and $30.8 million during the course of the investigation. The drug baron was indicted with four other people in 2010 on charges of drug trafficking from Guatemala and Colombia dating back to 2003, and over 49 fraudulent bank transfers worth hundreds of thousands of dollars made between Miami and Oklahoma City in 2003-2007. The Mexican drug lord stands accused with 20 other people of criminal enterprise, conspiracy to possess narcotics, import-export conspiracy, murder, kidnapping, money laundering and conspiracy to possess a firearm. The 2012 indictment alleges that he is responsible for distributing thousands of kilograms of cocaine and thousands of pounds of marijuana into and across the United States. It also lists four murders and attempted murders. Guzman is accused with 20 other people of setting up a cocaine distribution network stretching from California to New Jersey, and dating back to 1995.